I am one of two Political Awareness and Involvement chairs for the Eta Kappa chapter of Delta Sigma Theta Sorority Incorporated, a general body member of Spelman's Chapter of Young Democrats, political news anchor for The Maroon Tiger, podcast host for The Maroon Tiger, vice president of Stay Woke HBCU, a member of Continuum (Spelman's Undergraduate Research Journal), founder of the service organization LYTEHouse (Lifting Youth Through Enrichment), and the 2017-2018 Miss Black and Gold for the Alpha Rho chapter of Alpha Phi Alpha Fraternity Incorporated. I hope to be a trailblazer in the media industry! Once upon a time I could consolidate my career goals down to a sentence that reads ""I aspire to be a journalist."" But being able to fulfill a score of internships and independent projects while in undergrad has helped me realize that my contributions to the media space can be much more profound. I also found that my goal every time I have ever gotten in front of a camera is to tell the truth, not a story, and make viewers aware of the truth no matter how compromising. Thus, I hope to be a key political and social news correspondent for major news networks like CNN, MSNBC, and BET, eventually launching a network of my own that transcends all mediums of media--including print, video, and audio--and clings to a running theme of honesty, integrity, and inclusivity. 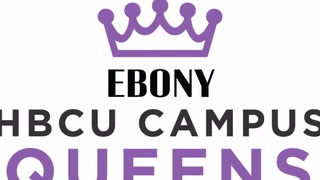 "My most memorable contribution as a campus queen thus far would have to be my story. This is especially abstract in context, but I have been received by campus in the way that I have because I have genuinely made the students I move amongst comfortable to be their most authentic selves. In HBCU spaces, we covet perfection and denounce flaws. So during my campaign, I intentionally moved to showcase every possible flaw that I think I have. At face value it was articulated as an attempt to be relatable and personable, but I did so because I knew I had to practice exactly what I preached. Transparency was and still is the foundation of my platform, 'Smile, Black Boy', and I knew I could not get the students of the institution to step out of their comfort zones if I did not charge myself to do the same. I was very scared, but I found that my story kept some students at the institution, kept some students alive, and gave some students the reminder they needed that everything will be okay--even if it isn't right now. So although not tangible, it has been the greatest gift of my reign thus far and it has grounded me in my purpose for this position."